On November 11, 1994, Amadou Sillah, known in the Gambia Armed Forces as Cadet Sillah, was allegedly executed by Yahya Jammeh’s regime which suspected him of being involved in a counter-coup. The counter-coup, allegedly led by Lieutenant Basirou Barrow four months after Jammeh and his military junta took office, saw several soldiers suspected of involvement summarily executed. 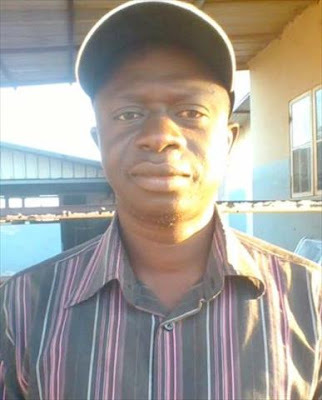 Barrow too, was killed by Jammeh’s Armed Forces Provisional Ruling Council, the AFPRC, which announced it has foiled a coup but left many questions unanswered regarding the whereabouts of over a dozen missing soldiers. Sillah, who graduated from the Gambia Armed Forces (GAF) training school in 1992 as a Cadet Officer, was accused of involvement in the failed coup attempt 22 years ago. It was the first of a series of alleged coup attempts to remove Yahya Jammeh, who himself came to power through a coup in July 1994. “Since November 1994, the family heard nothing from Amadou,” his younger brother Mamudou S. Sillah said. Amadou and Mamudou are the only male siblings of their father who died on 24 August 1994, three months before the disappearance of his first born, Amadou. Mamudou said he was informed about his brother’s capture by the AFPRC. He said he tried to find out about his brother’s whereabouts and his fate but there was no one who could tell him what happened to Amadou – not even his friends in the army. His family said it is calling on the new government to thoroughly and expeditiously investigate his execution. According to Mamudou, his family have already lodged an official complaint at the police headquarters, following the new government’s announcement that people should report the case of their missing relatives and loved ones. He said some of the soldiers who knew of the incident are in The Gambia and are willing to testify. Recently, one Sergeant Ebrima Fatty told the Foroyaa newspaper that he has knowledge of the November 11 incident, and is ready to say all that he knows. Mamudou said: “From the state’s investigation, we want to know where Amadou was buried so that he can be exhumed. We want to bury him according to the Islamic rites. Mamudou says Cadet Sillah was "captured and killed"
Until today, very little is known about the alleged coup of November 11 which remained in history as the bloodiest suppression of a coup against Yahya Jammeh’s 22 years rule. According to Musa Saidykhan, a senior journalist who was in The Gambia at the time of the alleged coup, more than a dozen soldiers accused of participation in the plot were “summarily executed” by the then military junta led by Jammeh. The closest account from an ex-army officer, Rtd Lieutenant Binneh S. Manneh, of what happened exactly on that faithful Friday morning suggested that soldiers allegedly involved in the coup were killed at the Fajara barracks, at the Nyambai forest in Brikama and the Yundum barracks. Some other accounts suggested that a lot of soldiers who were accused or suspected of plotting the coup were captured, killed and dumped at unknown places. “What has become our country’s first government-anointed massacre story remains shrouded in mystery,” Saidykhan wrote in the article ‘11/11: Another Dark Day Arrives’. Meanwhile, some of the families of the disappeared soldiers of November 11 are also calling on the government for thorough investigations. The family of Abdoulie ‘DOT’ Faal, an army officer also said to have been killed, following the failed coup attempt, has also called on the state, through the media, to investigate the matter. The family said they want justice. However, Mamudou Sillah said it would be better when all the families of the victims of November 11 could form an association to further their calls for investigation and quest for truth and justice. “I want all the [family members] of the victims of November 11 to come together to form an association, and to meet with the Interior minister for him to subsequently lead us to the president so that we can table out concerns to him,” he said. Ex-President Jammeh, well-known for presiding over one of Africa’s lethal dictatorship, now lives in exile in Malabo, Equatorial Guinea. In his 22 years rule, human rights groups like Amnesty International and Human Rights Watch repeatedly accused him of overseeing summary arrests, torture, summary executions and disappearances of perceived political opponents, journalists and members of the military. 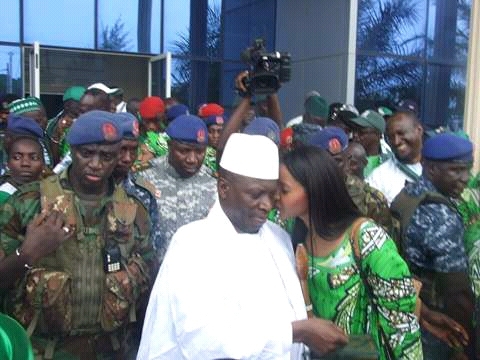 Jammeh was forced to flee the country on January 21, 2017 by an impending invasion by ECOWAS forces after he vowed to hang onto power when he lost an election in December 2016 to opposition leader Adama Barrow. There have been calls for his extradition and trial over dozens of alleged killings, corruption, theft of state financial coffers and related offences. When news emerged in February that Jammeh went away with more than D4 billion from state coffers, Gambia’s interior minister Mai Fatty said “if it worth going to Equatorial Guinea to bring [Jammeh] back”, the new government will. · A version of this story first appeared on The Point newspaper on March 15, 2017.